AN IRISH WOMAN who raised €700,000 to receive experimental cancer treatment says she is now free of the disease. 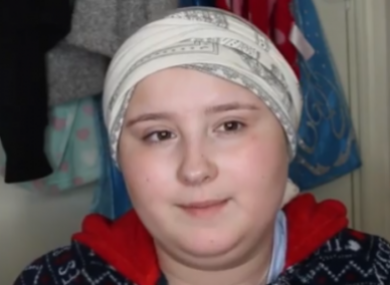 Shauntelle Tynan (20), from Graiguecullen in Carlow raised over €700,000 last year to fund her journey to Texas Children’s Hospital to receive specialist chemotherapy that is not available anywhere else. In a Facebook post today, Shauntelle and her family said that she is cancer free, calling it “the day we have dreamed about”. In a video posted to Facebook last year, Tynan pleaded with the public to support her health care costs in the US and said specialist treatment would be her “last-chance”. “We are so lost for words right now but wanted you all to know that my journey of active cancer has come to a close and we hope it remains that way! The future obstacles I will face will be worth everything I’ve been through. Now I truly have a chance at life and will keep you all updated to how I grow in the future. Speaking to Kathryn Thomas on The Ray D’Arcy Show on RTÉ Radio One today, Shauntelle said that the first thing she will do when she gets back from a year in Houston is “get a Chinese”. She will make the journey back home to Ireland in October. Email “'It's the day we dreamed about' - Carlow woman says she is cancer free”. Feedback on “'It's the day we dreamed about' - Carlow woman says she is cancer free”.